For all who have been wondering, waiting to hear what Waldameer could possibly add to make it an even better park, scratch your head no longer! 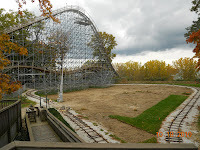 Today, Waldameer announced its 2011 plans for the expansion of a whole new section for the park titled the "North End". 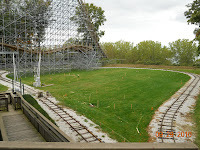 This brand new section will be located between the Sea Dragon and the Ferris Wheel where the L. Ruth Express makes its turn by the Ravine Flyer II. Beautiful gardens and an eight foot fountain will greet Guests as they enter under a 20' decorative metal archway displaying three new rides. The largest of the rides is the Flying Swings. This 41', beautifully eye-catching ride combines light and color with a dual oscillating wave effect that will entice the entire family to ride. 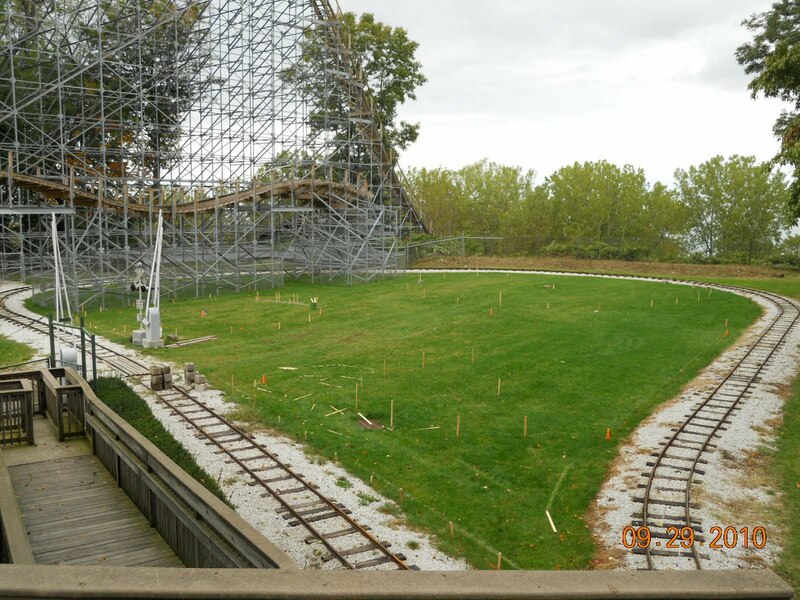 Riders will gracefully fly over the L. Ruth Express and enjoy views of Lake Erie, the Peninsula and the Ravine Flyer II. The second ride will be Wendy's Tea Party, a spinning tea cup ride that will allow children to ride with their parents as they spin round and round. Each tea cup will have a manual steering wheel that will allow riders to control the direction and speed of their spin throughout the ride. The third ride that Waldameer will introduce will be a rockin' tug ride called the SS Wally. This colorful boat will gently swing back and fourth as it whirls around creating a fascinating sensation that kids and adults will enjoy together. Rounding off the experience of the new North End will be plenty of gorgeous potted flowers, decorative bronze statues and welcoming benches with a variety of jazz music selections playing in the background provided by WQLN radio. 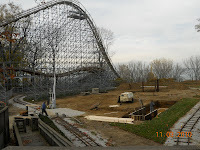 Keep looking for updates and new pictures on the blog and the Waldameer website as Waldameer continues to break ground for this wonderful new expansion! Visit waldameer.com for the official press release.